cadet officer in type A khaki uniform. Yes, the guinit helmet was painted silver (maybe inspired by those late 1930s "Flash Gordon" and Buck Rodgers" serials). Note two-tone maroon and green color of shoulder boards, guinit helmet pugaree and tassel affixed to helmet spike. 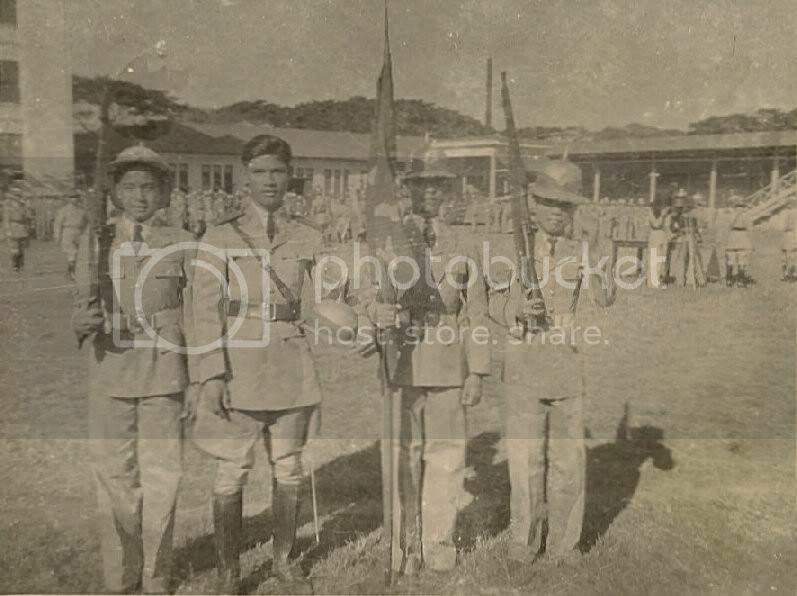 UP ROTC color guard with cadets in Type A khaki uniforms. Note cadet officers wear leather leggings and jodphurs and sambrowne belts. Other cadet ranks also wear khaki jackets but with reglar straight pants, white canvas belts and spiked guinit helmets without tassels. 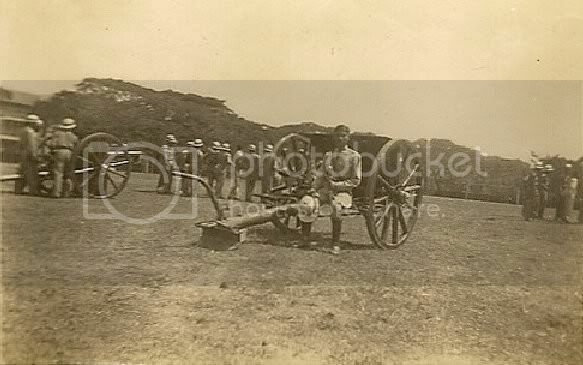 Cadets training with British built WW 1 vintage 18 pounder of the spoked wheel type. 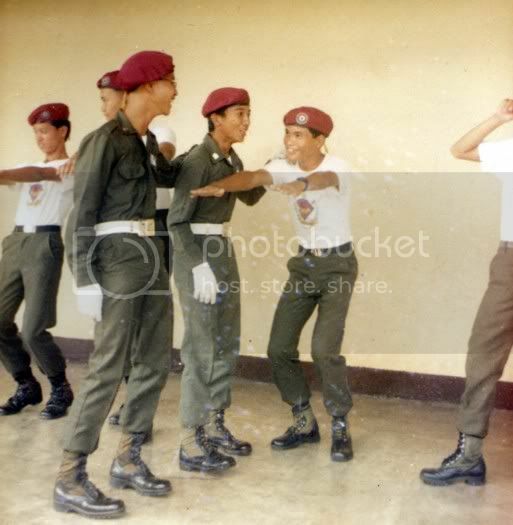 The 1980s saw the introduction of Rayadillo uniforms and a new guinit spiked helmet resembling those used by the Philippne presidential honor guards, but painted blue. UP ROTC cadets today. Helmets worn by the Rayadillo honor company have given way to straw hats with maroon and green hat bands. The spiked guinit helmet tradition however is still retained, but only for cadet officers. 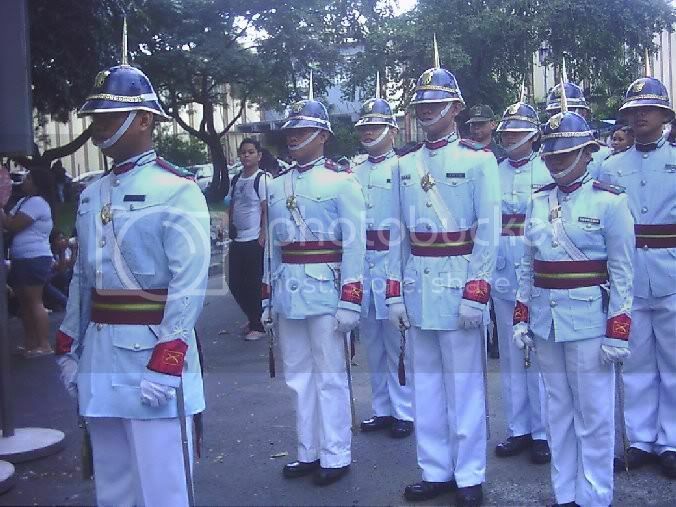 Modern cadet officers of UP ROTC in "gala" parade uniform. 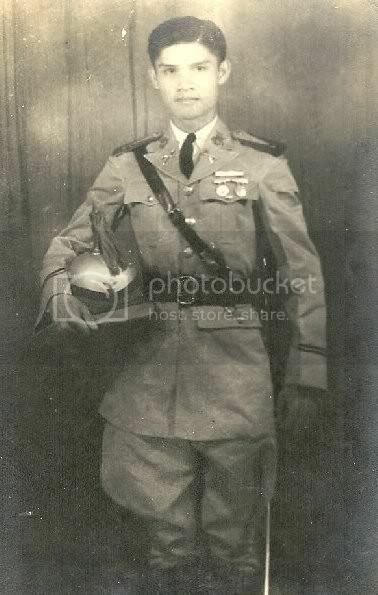 Note the shoulder boards are just like those originally worn in the late 1930s, except that they are inverted. Beautiful pictures Ray. Your dad looks very handsome there... and you look good in your Rayadillo too. 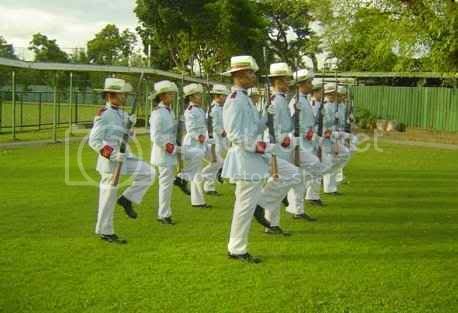 I was Field Artillery (red berets) back in UP ROTC. I'm going to host your pictures in my photobucket so they won't expire. When you import Rays' images. You may want to flip images 2 and 3 before uploading to your image server. They are reversed (printed with negative on the wrong side). Sam brown belt should be from wearer's right shoulder to waist. 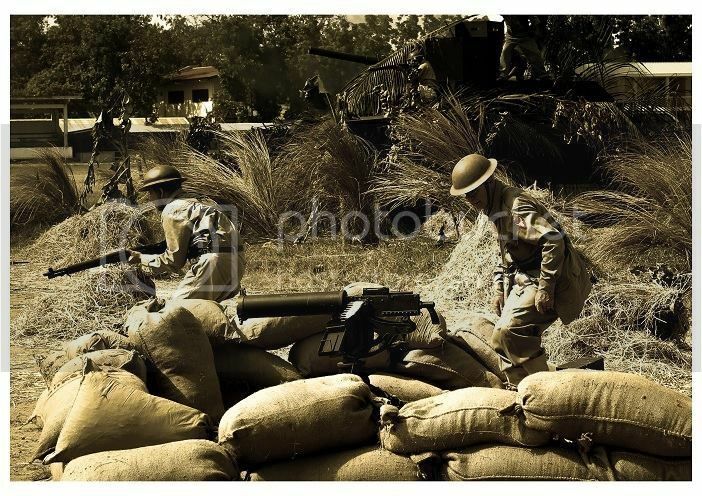 Also note the bolt handles on the rifles are on the wrong side in the image. Pictures are now corrected, thank you Frank. Victor, let's see some of your red beret FA pictures. Interesting photo Victor. 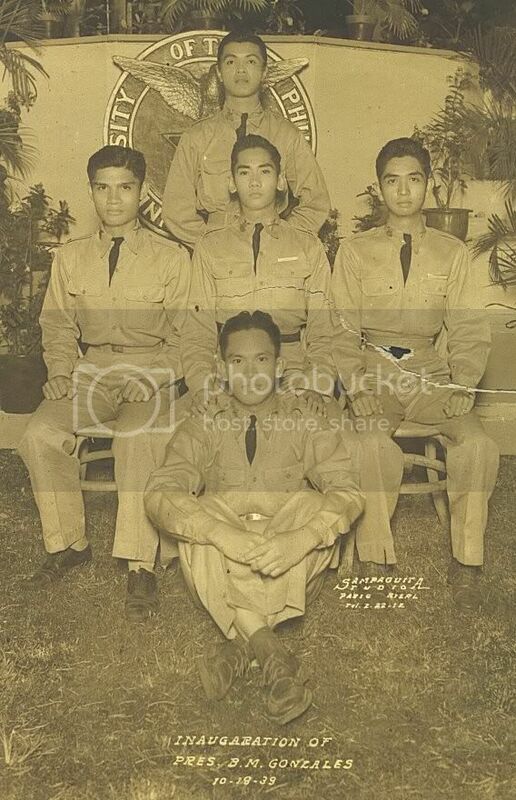 It makes me remember how uncomfortable those "ramie" green uniforms were for CAT and ROTC. it's very interesting to find this forum. those pics are very familiar... the memories and experiences that they have.